Photo by OIST via Flickr. Shared under a [CC BY 2.0] license. Recent high-profile cases of sexual misconduct in science have revealed a pervasive undercurrent of harassment in the STEM workplace. How should scientists, institutions, and funding agencies respond? Given the importance of this issue, we wanted to provide a brief outline of the problem, policies that seek to prevent harassment, and steps the scientific community can take. How pervasive is sexual harassment? The 2018 National Academies of Sciences, Engineering, and Medicine report that more than 50% of women faculty and staff and 20-50% of women students at universities have experienced harassment. 71% of women surveyed experienced sexual harassment while conducting fieldwork and 25% had been assaulted. Women in STEM report experiencing discrimination at higher levels than women in non-STEM occupations (50% vs 41%). Alarmingly, a recent inventory and analysis of 300 cases of sexual harassment of students by faculty at universities found that in most instances, misconduct was physical rather than verbal. In more than half of the cases, the faculty member was a serial harasser. Surveys conducted in astronomy and planetary sciences reveal that women of color are more likely to be victims of harassment. The prevalence of harassment against women has brought to light the hostile work environments fostered by long-standing power imbalances between men and women. It also indicates policies surrounding misconduct—particularly in academia—need to be strengthened. The National Academies of Sciences, Engineering, and Medicine convened an ad hoc committee to study the effects of harassment on the success of women in academia. They define three forms of sexual harassment: gender harassment, unwanted sexual attention, and sexual coercion. That committee recently issued a report that reviews the pervasiveness of harassment toward women in STEM, the extent to which harassment impedes career advancement, and the efficacy of current policies that seek to prevent misconduct. Their report also includes specific recommendations for Congress and federal agencies. Here we outline the stakeholders who are in a position to effect change. The recent NASEM report also includes guidelines for actions that these entities can take. How does the federal government regulate sexual harassment? In the United States, sexual harassment is prohibited under both Title VII of the Civil Rights Act of 1964 and Title IX of the Education Amendment of 1972. However, last year, US Secretary of Education Betsy DeVos relaxed federal rules surrounding sexual assault investigations at universities. The Obama-era guidelines directed that colleges use the lowest standard of proof in determining whether a student has committed assault. The Education Department now requires colleges to use a higher standard that requires ‘clear and convincing evidence.’ Secretary DeVos has also removed the requirement for investigations to be completed within 60 days and included an allowance for universities to use mediation—if both sides agree—instead of formal investigations. Mediation by nature implies dual responsibility and direct confrontation between the sexually harassed and the accused, which may discourage the reporting of sexual assault and change attitudes toward sexual harassment on campus. Representative Jackie Speier (D-CA) has proposed legislation that would terminate faculty found guilty of sexual harassment. Kate Clancy, a sociologist who studies sexual harassment in the sciences, recently testified at a congressional hearing, urging academic institutions to change workplace culture to make more ‘respectful and equitable climates for everyone.’ You can read her powerful testimony here. How can funders impact the behavior of grantees? The National Science Foundation now requires institutions to report findings of sexual harassment and place grantees accused of harassment on administrative leave while investigations are taking place. Under these new policies, NSF research grants may be suspended or eliminated if an institution finds that a grantee is guilty of harassment. These requirements build upon NSF’s 2016 statement that institutions must implement Title IX protections or risk having funding revoked. The requirement for institutions to implement protections may have a more tangible effect because these systemic changes may deter future incidents in addition to dealing with reported harassment. The National Institutes of Health initiated efforts in 2016 to address sexual harassment issues. Thus far, these efforts have led to changes in the sexual harassment policy and the development of a new system meant to facilitate rapid response to sexual harassment claims. However, these measures are limited to intramural branches of the NIH and NIH-sponsored meetings, and it remains to be seen whether such measures are extended to extramural NIH-funded research. 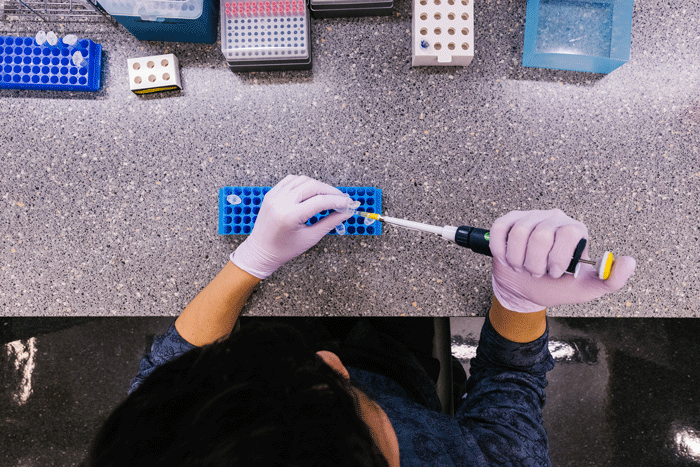 The new initiative by the NSF may provide a template for the NIH and other institutions to make broader changes in the future. Scientific societies have also begun to re-evaluate codes of conduct for their members. For example, the American Geophysical Union has named sexual harassment as a form of scientific misconduct and is involved in an NSF-funded project that will update teaching of research ethics to include sexual harassment. The Genetics Society of America is chartering a working group to revise its code of conduct for meeting attendees and investigate the best ways to prevent and address harassment or inappropriate behavior at conferences. The Council of Evolution Societies have unveiled the Safe Evolution Program to standardize codes of conduct, address issues regarding work environments, and provide support to individuals who feel threatened or harassed while at society meetings. In terms of the broader scientific community, there are also campaigns to strip honors and awards from scientists who have been sanctioned for sexual misconduct. Some institutions are proactively preventing sexual harassment. The University of London, which recently found itself at the center of harassment allegations, is now adopting a strict approach to curbing misconduct, which includes the development of a 10-point plan for tackling workplace harassment and the creation of a new position focused on sexual harassment strategy and review. In the United States, The University of California Santa Cruz revised its policies on sexual violence and assault in 2016 to include the process for reporting and processing complaints and mandate online training for faculty and staff. The University of Michigan has recently updated its policies so that harassment cases are now heard by professional Office of Student Conflict Resolution staff, rather than volunteer members, to ensure that professionals are handling conflicts. Reporting sexual harassment in any context isn’t easy; it can result in difficult workplace interactions, disrupted career paths, and loss of productivity. Within the research community, reporting can lead to public scrutiny of the victim’s quality of work or abandonment of STEM careers altogether. The consequences can be even tougher to deal with as an early career scientist who depends heavily on recommendation letters for obtaining future positions. Given that the burden of reporting incidents falls on the very people who have already suffered, we must move to a culture that pro-actively discourages harassment. Be proactive about addressing sexual harassment. As individual scientists, we can influence our own workplace environments to make sure that they are welcoming to all individuals. If you feel safe to do so, you can challenge inappropriate behavior. If you are in a position of power, be an ally and speak out. Contact your institution’s Title IX office or support services including the ombuds office or human resources department. Get guidance on how to support someone who has been a victim of harassment or assault. Get involved with Know Your IX, an organization that supports youth advocates working to end sexual violence in schools. Learn how to fight campus sexual assault. The goal of the Early Career Scientist Policy Subcommittee is to analyze and communicate the impact of policies and their implications for training, funding, and advancement of the scientific enterprise.